This is the same product as the 2000mAh Lithium Polymer Battery. The difference is this version comes in fancy clamshell packaging meant for our distributors that need it. Regular customers are welcome to order, but we want to limit the amount of extra packaging finding its way into the trash heap. These are very slim, extremely light weight batteries based on the new Polymer Lithium Ion chemistry. This is the highest energy density currently in production. 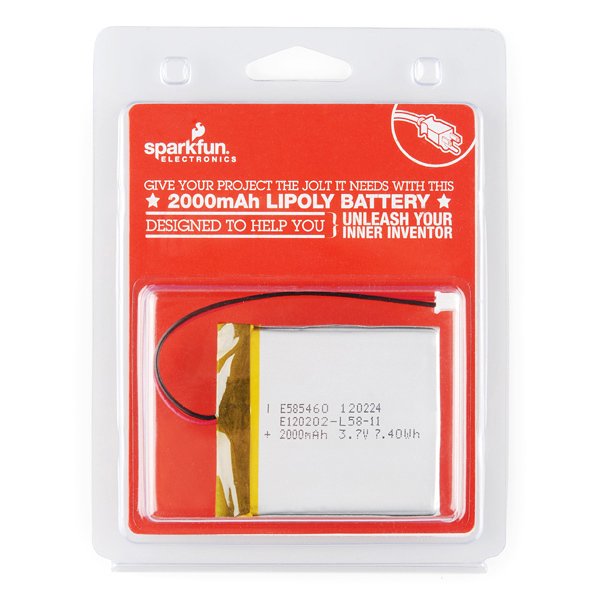 Each cells outputs a nominal 3.7V at 2000mAh! This battery comes terminated with a standard 2-pin JST-PH connector - 2mm spacing between pins. 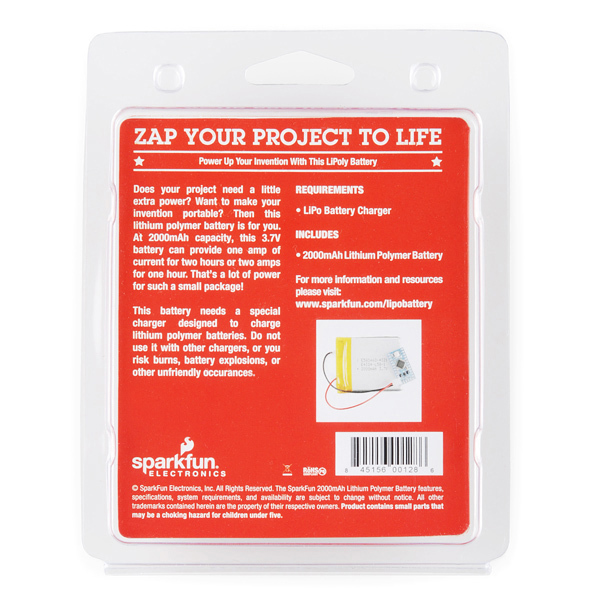 Do not attempt to charge these with anything but a charger specifically designed for Lithium Ion batteries. 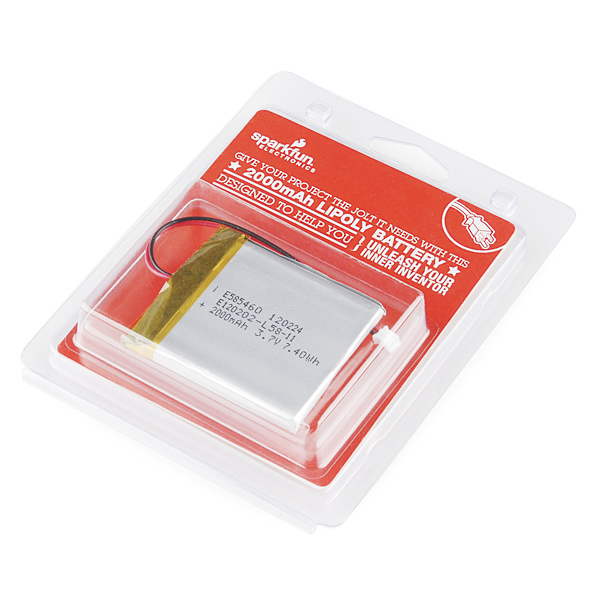 Note: Due to shipping restrictions, only two batteries can be shipped together at one time. Due to the requirements of shipping this battery, orders may take longer to process and therefore do not qualify for same-day shipping. Sorry for any inconvenience this may cause.